Penn forward Max Rothschild has missed the Quakers' last three games because of a back injury. The beginning of Penn’s basketball season was going so well until the final few days of 2018. After winning 10 of their first 12 games, which included victories over Miami, defending NCAA champion Villanova and at New Mexico, the Quakers stalled over the final week of 2018, losing two games in a three-day span to Toledo and previously winless Monmouth. Now the Quakers (10-4) look to rebound when they visit rival Princeton in the Ivy League opener for both teams. Penn coach Steve Donahue feels that beginning the Ivy League season against his team’s chief rival, will give the Quakers a needed jolt of energy. Penn is battling the injury bug. During the loss at Toledo, impressive freshman Michael Wang — the team’s No. 3 scorer with 11.2 points per game — injured his ankle. He didn’t play against Monmouth. Senior forward Max Rothschild has also missed the last three games because of a back injury. The Quakers lost to Monmouth, 76-74, in overtime at the Palestra on New Year’s Eve — notably shooting 19-for-31 from the foul line — and were routed at Toledo, 77-45, on Dec. 29. 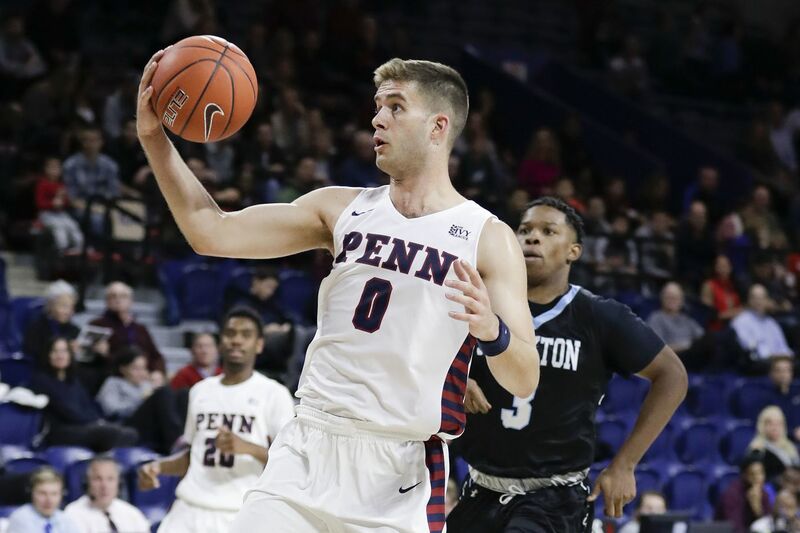 Penn was already without last year’s leading scorer Ryan Betley, whose season ended on opening night when he suffered a ruptured patella tendon in his right knee; and point guard Jelani Williams, who suffered a second season-ending knee injury in as many seasons before the campaign started. The defending Ivy League and Ivy tournament champion, Penn was picked second in this year’s preseason poll. Princeton was selected fourth. But the Tigers may have the edge in momentum. Princeton is led by 6-2 senior Devin Cannady, who averages 20.2 points per game and shoots 42.7 percent from three-point range. Against Arizona State, Cannady had 21 points, shooting 5-for-12 from three-point range, and added nine rebounds and four assists. “I think he’s the best in the country shooting off the dribble from three,” Donahue said. Princeton will have to try to contain Penn 6-8 junior AJ Brodeur, who averages 14.6 points and 7.4 rebounds to lead the Quakers in both categories. This will be the first of two games on consecutive weekends between the two teams, who meet Jan. 12 at the Palestra.